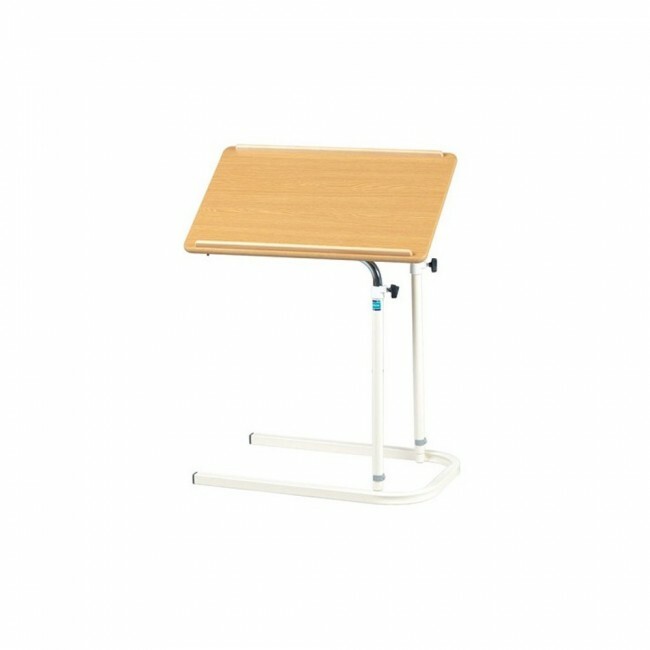 A tilted overbed table in a classy light oak colour, suitable for anyone who is less mobile or has a physical disability. The table is designed with a tilting top, and the height of the table is adjustable from 62-94cm, allowing you to change the table to a height which suits your individual needs. The table is perfect for use over a bed, chair or sofa during everyday activities such as reading, card games, using a computer, eating and more. The product is suitable for use in hospitals, care homes and healthcare settings.